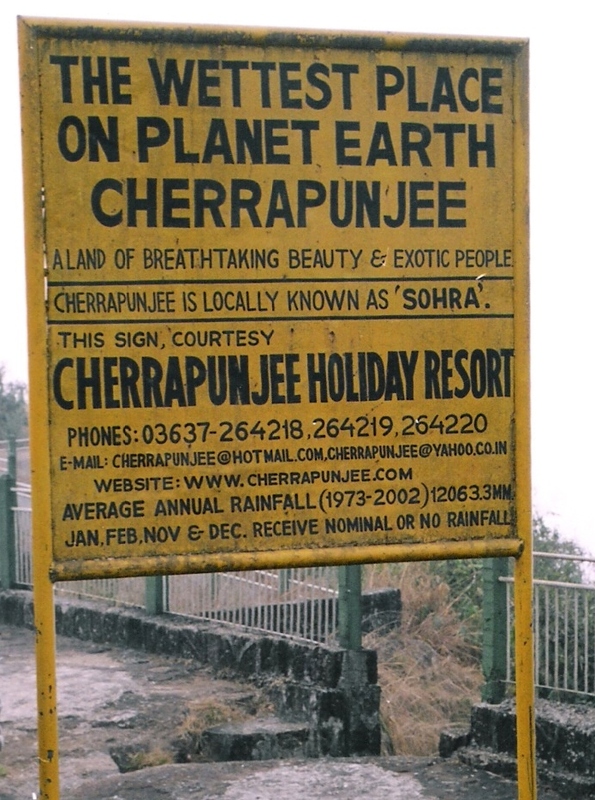 India's Cherrapunji is the wettest places on earth. Cherrapunji situated in North East India in the Meghalaya State (separated from the state of Assam in 1972, Meghalaya means “Home of the clouds”) in the Khasi Hills, is unbelievably the wettest place on the planet earth which receives the maximum rainfall in the world, holding a record that it once rained continuously every single day for two years. It made a world record of 1,041 inches of rain in 1861. The wettest place on Earth is the Indian town of Cherrapunji, with an average annual rainfall of 11.43 meters (38 feet 2 inches).